The Cavern was home to the Beatles, Gerry & the Pacemakers, The Searchers, The Hollies, Billy J. Kramer and Cilla Black, as well as the Rolling Stones, The Who, The Kinks, Elton John, Stevie Wonder, Ben E King, Rod Stewart, Status Quo, Queen and even Chuck Berry and Bo Diddley. Newly installed Mayor of Beverly Hills, John Mirisch, will welcome John Lennon’s sister, Julia Baird, who will introduce the highly-anticipated documentary. 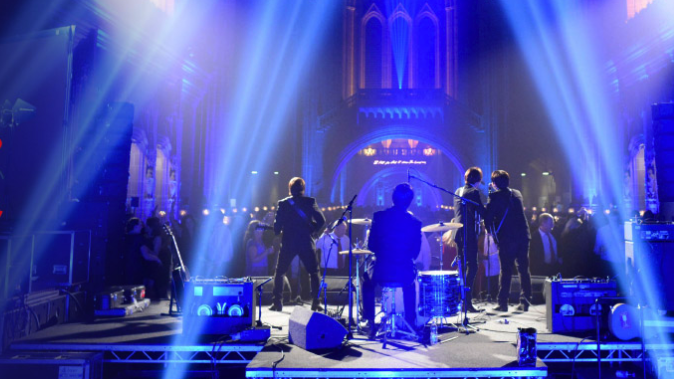 A live performance by the incredible Cavern Club Beatles, the first and only resident band endorsed by the Cavern Club, follows the film. Single tickets for the Cavern Club event are $75 – $45. Visit TheWallis.org, call 310.746.4000, or stop by in person at the Wallis Annenberg Center for the Performing Arts Ticket Services Office located at 9390 N. Santa Monica Blvd., Beverly Hills, CA 90210. In partnership with the City of Beverly Hills, The Wallis and BritWeek will also host two free community events on Sunday, April 28. The morning will begin with a Luxury Car Show and Rally at 10:00 am sponsored by O’Gara Coach Beverly Hills, an award-winning factory-authorized dealer for Aston Martin, Bentley, Bugatti, Lamborghini, McLaren, Maserati, Alfa Romeo and Rolls-Royce serving the Southern California area. The display of cars will include vehicles such as Aston Martin’s Vantage, Bentley: Bentayga, Mulsanne, Flying Spur and GT/GTC. McLaren will display the brand new model of the Spider. Rolls Royce will showcase the Dawn, the Wraith, the Cullinan and the Phantom. The car rally route will begin and conclude at North Crescent Drive in Beverly Hills. Following the rally, the cars will be on public display until 2:00 pm along Crescent Drive (between North and South Santa Monica Blvd.) and on The Wallis’ Eva and Marc Stern Arrival Court. Immediately after the car rally and show, at 2:00 pm, will be a screening of the 1969 classic British heist film, The Italian Job, starring Michael Caine, in The Wallis’ Bram Goldsmith Theater. 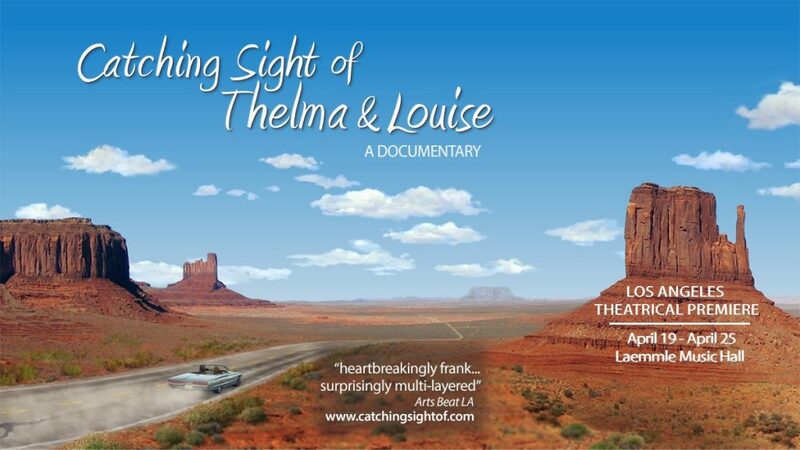 This free screening is made possible by the generous support of BAFTA. Admission is free but reservations are required. 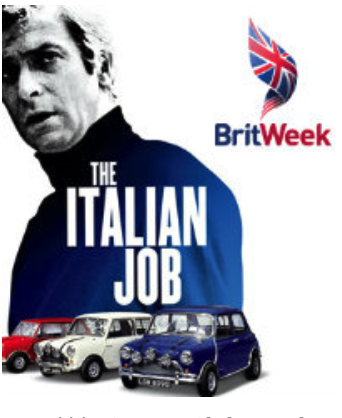 The quintessential British caper film of the 1960s, The Italian Job is a flashy, fast romp that chases a team of career criminals throughout one of the biggest international gold heists in history. Michael Caine stars as Charlie Croker, a stylish robber and skirt-chaser fresh out of prison. Shunning rehabilitation for recidivism, Croker takes over “The Italian Job,” a complicated plan to hijack gold bullion from Italy — right from underneath the noses of the Italian Police and the Mafia. Tickets for the screening of The Italian Job are free, but reservations are required.